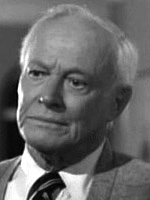 William LeRoy Prince appeared in many soap operas and was often a guest villain on TV. 04/22/1974 0078 The Wishing Stone A young girl believes an angel gave her a wishing stone. But her wishes don't turn out quite the way she intended. 06/04/1974 0101 An Occurrence at Owl Creek Bridge To escape an appointment with the gallows at Owl Creek Bridge, a confederate spy embarks on a dangerous journey through hostile territory in order to reach Dixie. 12/18/1974 0188 Charity Is Never Dead An explosion occurs in a departmental store, leaving an old lady badly wounded who is immediately taken to the emergency unit of a hospital. She is freaked out when she cannot find her granddaughter whom she just met after a decade. In the meantime a young lady is brought to the hospital after sustaining a severe head injury resulting in amnesia. Are the women related? 03/21/1975 0243 The Man Must Die The son of a court judge is tremendously angered when his father sentences a convicted killer to two decades of life imprisonment instead of death. He then plans to meet the convict to clear things out. 05/15/1975 0274 Deadly Dilemma A thriller up in the air. Someone among the passengers possess a bomb and the unlikely heroes of an attendant and a co-pilot must find him/ her out. 06/19/1978 0852 Dr. Jekyll and Mrs. Hyde A police sheriff is questioned by the prosecutor for defense to elucidate the mystery regarding a blackmail and a reported missing person. He narrates the story of a tortured marriage between an oppressed couple.